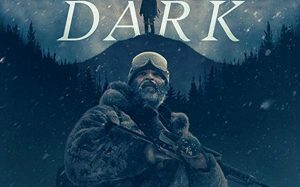 In December 2004, Russell Core Wizard (Jeffrey Wright) is called into a small village called Keelut somewhere in the wild in Alaska to help hunt wolves accused of the disappearance and presumed death of three children. Medora Slone (Riley Keough), whose six-year-old Bailey was the third missing child, wants Russell to kill the wolves. Meanwhile, Vernon (Alexander Skarsgård), her husband, is in the military where he is making his military status in Iraq. By the time Russell arrives in Alaska, he meets Medora, and this shows him where the children were from. Although she mentions the father of the second missing child, Cheon, as if she were a friend of her husband, she tells him they will not talk to him. Medora has very strange behavior one night trying to seduce him and then tries to make him have an unusual sexual act.